Meet and Explore Berodin. 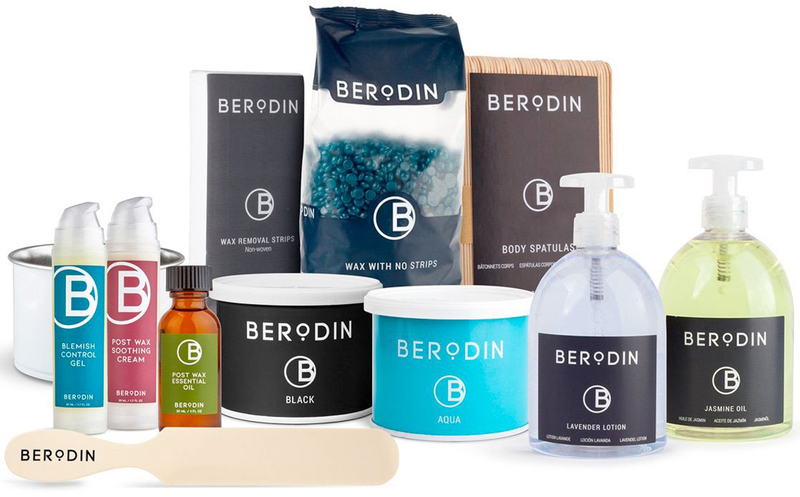 This deluxe intro kit is the perfect way to test Berodin in your waxing practice. Brush up on your skills with our Advanced Waxing online education, then try out our Berodin Black, Berodin Aqua and Berodin Blue. Complete with waxing tools, this set provides all our must-haves. Includes: Black Tin 400 gm, Aqua Tin 400 gm, Blue Pellets 500 gm, Wax Tin, Large Plastic Spatula, Non-Woven Strips, Blemish Control Gel, Post Wax Essential Oil, Post Wax Soothing Cream, Lavender Lotion, Jasmine Oil, Disposable Spatulas, and access to stream our instructional videos.